I’m sitting on very flat surface here. Tiny rocks around my foot pads. The horizon is flat and looks perfect for digging!!! 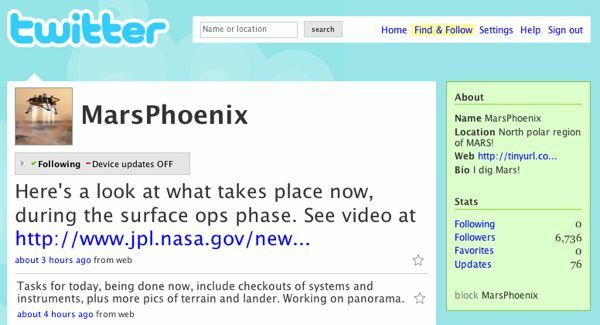 It’s unclear if this is an official feed or not; I couldn’t find a mention of it on NASA’s site. Either way, though, it’s an interesting way to bring space exploration into new media.